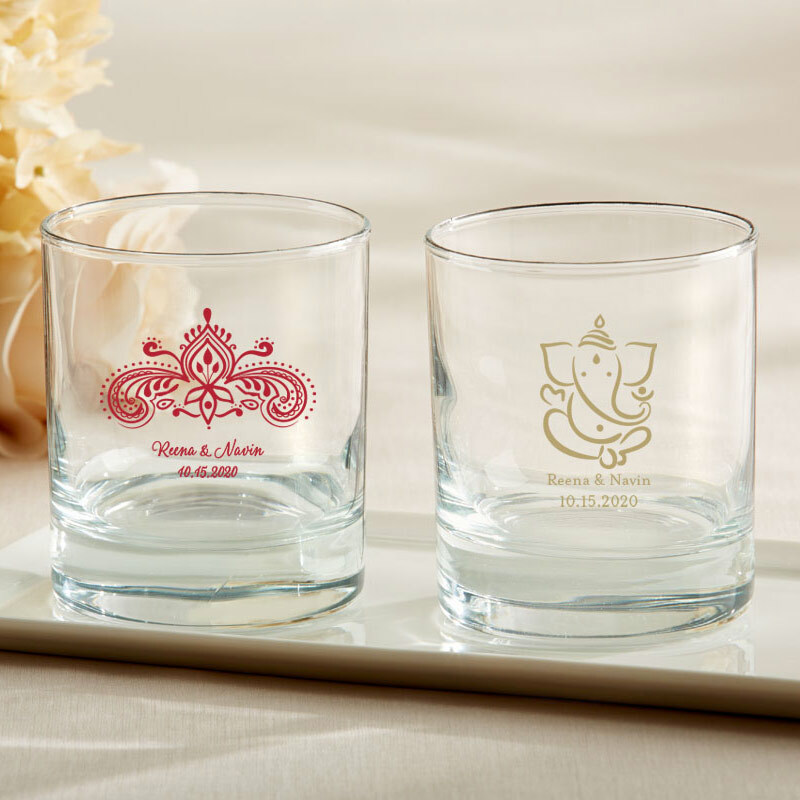 These Personalized 9 ounce Indian Jewel Rocks Glass favors with HENNA or GANESHA designs are elegant and exotic. 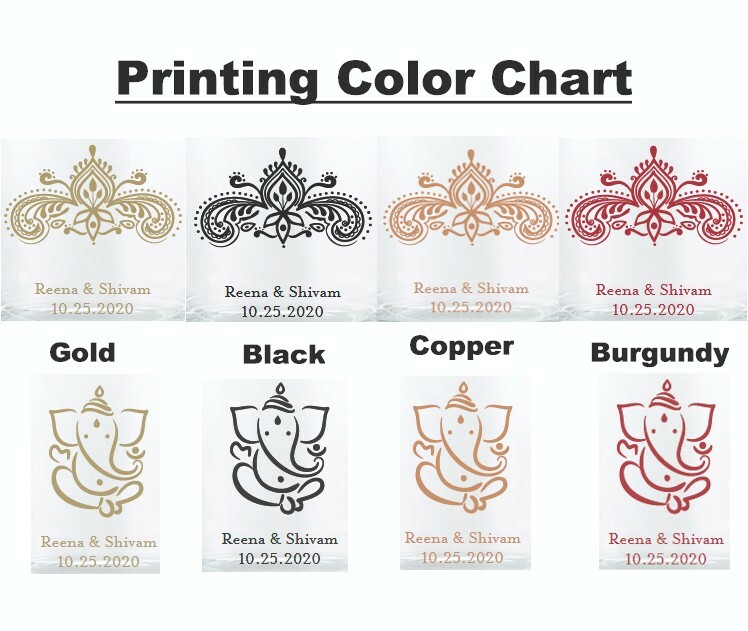 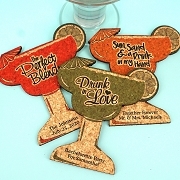 They are perfect for complementing Indian wedding decor or jewel tones at your wedding or bridal shower party. 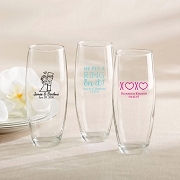 Personalize theme with your 2 lines of text. 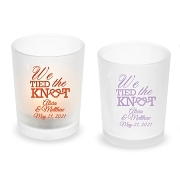 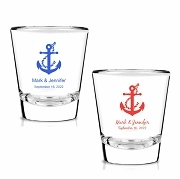 These customized whisky glasses are a one-of-a-kind favor for your unique celebration.